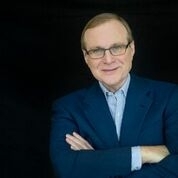 SEATTLE, Oct. 29, 2018 /PRNewswire/ -- A year ago, the late Microsoft co-founder and philanthropist Paul G. Allen challenged his team at Paul G. Allen Philanthropies to fill the most significant data gaps that prevent efficient and effective coral conservation. Today, Paul G. Allen Philanthropies and a consortium of partners unveiled the Allen Coral Atlas, a pioneering effort that uses high resolution satellite imagery and advanced analytics to map and monitor the world's coral reefs in unprecedented detail. At launch, the Allen Coral Atlas offers the highest-resolution, up-to-date global image of the world's coral reefs ever captured, and the first detailed maps showing the composition and structure of five important reefs located throughout the world. "Paul challenged us with a bold and audacious goal - save coral reefs around the world," said Bill Hilf, CEO of Vulcan Inc. "The Allen Coral Atlas is our first step toward fulfilling that mission." The Allen Coral Atlas began with a global, 4-meter/pixel mosaic of the world's coral reefs, comprised of satellite imagery from 2017 to 2018 provided by Planet, an integrated aerospace and data analytics company and satellite image provider. Allen Coral Atlas partners at the University of Queensland (UQ), Carnegie Institute for Science, Hawaii Institute of Marine Biology and National Geographic Society further analyzed and validated this imagery to produce derivative maps that capture reef depth and water color, and discriminate between benthic microalgae, coral reef and algae, and land, rock, sand and rubble. The Allen Coral Atlas launched with detailed geomorphic and benthic maps for Moorea in French Polynesia; Lighthouse Reef in Belize; West Hawaii Island; Karimunjawa in Indonesia; and Heron Island, on the Great Barrier Reef in Australia, with more planned to come. "Our team, led by Dr. Chris Roelfsema, have been developing techniques that link our global field experience on coral reefs with satellite image mapping techniques for almost 20 years. Now this project, through its unique set of partners is enabling us to deliver maps of coral reefs at a level of detail and in a form that reef scientists and managers worldwide have not had access to," said Professor Stuart Phinn at the University of Queensland. The partners intend for the Allen Coral Atlas to become a definitive source for real-time monitoring of the world's coral reefs - providing change detection over time so local governments can take action to protect and save the reefs in their own backyards. "We're developing novel algorithms and applying them to Planet's satellite data to detect and analyze changes in reef cover and condition," said Greg Asner, Staff Scientist for Carnegie Institution for Science. Dr. Asner is an ecologist recognized for his exploratory and applied research on ecosystems and climate change at regional to global scales. "Over time, we'll be able to determine which reefs are bleaching and where, giving decision-makers and the reef management community critically important information needed for response and conservation." "Coral reefs are the rainforests of the ocean - and they are in a period of unparalleled crisis," said Art Min, Vice President of Impact for Paul G. Allen Philanthropies. "A major challenge facing our ability to save the world's coral reefs from extinction is a lack of accurate, reliable and real-time data. With the Allen Coral Atlas, scientists, NGOs and lawmakers will have the data they need to make more effective conservation decisions, giving our corals a chance at survival." For more information on the Allen Coral Atlas, please visit www.AllenCoralAtlas.org. Microsoft co-founder and philanthropist Paul G. Allen was deeply committed to ocean health and as a result, his team manages a diverse portfolio of programs targeted at the protection of the marine ecosystem. To disrupt our oceans' unsustainable trajectory, resources are leveraged in data, technology and science. His team is also developing plans that could leverage their capabilities in the public policy and storytelling arenas. In addition to the many ocean-related initiatives, since 2013 Paul had supported research led by the Hawai'i Institute of Marine Biology and the Australian Institute of Marine Science to develop human assisted evolution of coral, bred to be resilient to changing ocean conditions. For more information, visit www.paulallen.com or www.pgaphilanthropies.org. Planet is an integrated aerospace and data analytics company that operates history's largest fleet of Earth-imaging satellites, collecting a massive amount of information about our changing planet. Planet is driven by a mission to image all of Earth's landmass every day, and make global change visible, accessible and actionable. Founded in 2010 by three NASA scientists, Planet designs, builds and operates over 130 satellites, and develops the online software and tools that serves data to users. Decision makers in business, government and within organizations use Planet's data and machine learning-powered analytics to develop new technologies, drive revenue, power research and solve our world's toughest challenges. For more information, visit www.planet.com and follow us on Twitter at @planetlabs. The Carnegie Institution for Science is a private, nonprofit organization headquartered in Washington, D.C., with six research departments throughout the U.S. Since its founding in 1902, the Carnegie Institution has been a pioneering force in basic scientific research. Carnegie scientists are leaders in plant biology, developmental biology, astronomy, materials science, global ecology and Earth and planetary science. For more information, visit https://carnegiescience.edu or on Twitter @carnegiescience. The Asner Lab uses pioneering advanced Earth imaging technology and novel data analytics that bridge the gap between science, decision-making, and society for a more sustainable future. Visit www.asnerlab.org or on Twitter @asnerlab. The Remote Sensing Research Centre (RSRC) uses remotely sensed data, field-work and spatial models to measure, map and monitor biophysical properties in terrestrial, atmospheric and aquatic environments to better understand and manage the earth's environments and resources. Our research provides private and public sector organisations with techniques to transform satellite images into meaningful maps or information from one or many points in time. These results can then be used to better understand where, how and why environments are changing, and to separate natural changes from those produced by humans. Coral Reefs are one of the focus environments of the RSRC, and the team has been developing and applying mapping and monitoring methods for reefs throughout the Asia Pacific and the Caribbean. The Remote Sensing Research Centre is located at the School of Earth and Environmental Sciences at The University of Queensland. For more information, visit www.rsrc.org.au. The mission of the Hawai'i Institute of Marine Biology (HIMB) is to conduct multi-disciplinary research and education in all aspects of tropical marine biology. HIMB continues to be a world leader in research to understand and conserve tropical marine ecosystems. We develop and implement new technologies that advance the informed stewardship of Hawai'i's marine and coastal biodiversity. HIMB is an independent research unit within the School of Ocean Earth Science and Technology (SOEST) at the University of Hawai'i at Manoa. For more information, visit www.himb.hawaii.edu and follow us on Twitter at @himb_soest.